Confrontations with violent criminals inside the home are rare, but they can happen. Responding to a home invasion requires confidence to respond appropriately, knowledge of the relevant laws, and excellent pistol handling skills. This course gives you the skills necessary to teach students how to react to an incident like this and respond in a way that minimizes the danger to their family and stops the threat. This is a more advanced course, so you must already be an NRA Certified Pistol Instructor. If you have not completed the NRA Basic Instructor Training within the last two years, that will also be required for this course. Finally, you also must have completed the NRA Personal Protection In the Home student course which we usually teach in conjunction with the instructor course. In order to undertake the NRA Certified Personal Protection In the Home Instructor course at GTBR, you need to know the basics of firearm safety and have a measure of proficiency in shooting skills. There is a link below to the pre-course assessment exercises to ensure you have a suitable background in firearms. This course goes over the skills in the NRA Personal Protection In the Home student course. Then you practice teaching those same skills to other students. This includes classroom role-playing demonstrating safe firearms handling skills with dummy ammunition. You will also practice using other classroom aids and lesson plans to improve your teaching skills. Range time is part of this course, so be prepared for live-fire exercises practicing the skills taught in the classroom. The course ends with qualification exam testing the skills learned. 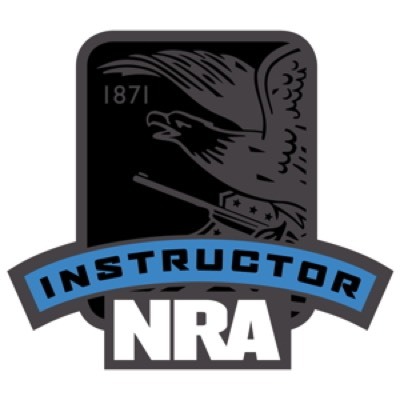 You will receive an NRA Basic Personal Protection In The Home Instructor Candidate Packet and NRA Basic Personal Protection In The Home course student packet along with a signed certificate allowing you to teach the NRA Basic Personal Protection In The Home student course. Completing the NRA Certified Personal Protection In the Home course will equip you with the skills necessary to teach students how to safely use firearms to defend themselves and their families. It also includes training material to help you teach your own class so that you may help save lives. This also makes you better equipped to educate your own family in what to do when you are responding to an emergency situation in your own home, improving the skills you learned in the student course. Completing this course will also give you the certification necessary to qualify for the NRA Personal Protection Outside the Home Instructor course, which will allow you to teach students the knowledge skills and attitude necessary to defend against a violent attacker when not at home. "PERSONAL PROTECTION INSIDE THE HOME INSTRUCTOR PRE-COURSE ASSESSMENT"